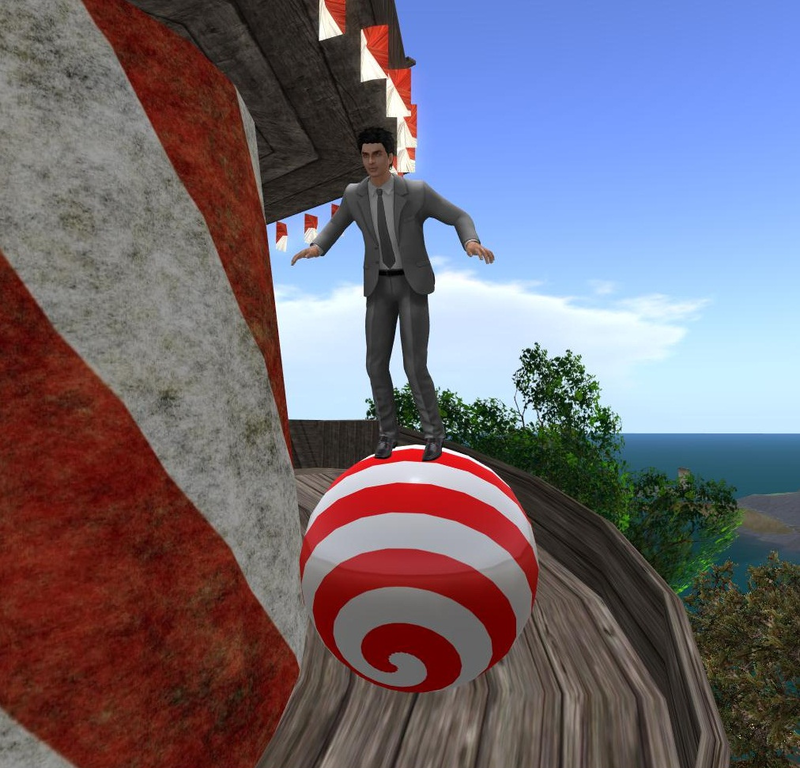 The Riderball is one of the most amusing things I’ve encountered in SL in a good while. Your avatar stands on top, and when you want to move forward your avatar slowly (or rapidly!) walks backwards, rolling the ball forwards. You can turn and go backwards too, of course. What makes it is Pandora Wrigglesworth’s attention to detail: she made sure that your avatar’s movements on the ball differ from your AO. You sway from side to side, with arms darting this way and that to keep your balance. You walk carefully along the contour of the ball, rather than walking on air above it. Also, it’s just funny. I giggle every time I walk around on the thing. In case you haven’t found Curio Obscura yet, let me throw you a link to to the inworld store, so you can visit. And that’s what’s new and amusing today! I found some more fun whackiness from C.O., coming at the Gacha fair! So hey, I did say I was going to start writing here again. So I had a banner day, as far as a content consumer on SL can have.